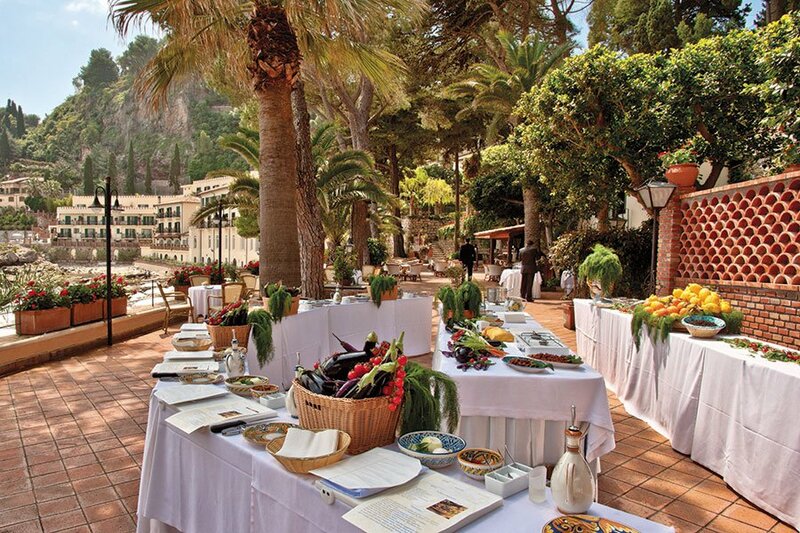 Photo courtesy of Belmond Villa Sant'Andrea. Everyone knows that breakfast is the most important meal of the day, something that rings true and clear during a hotel stay. 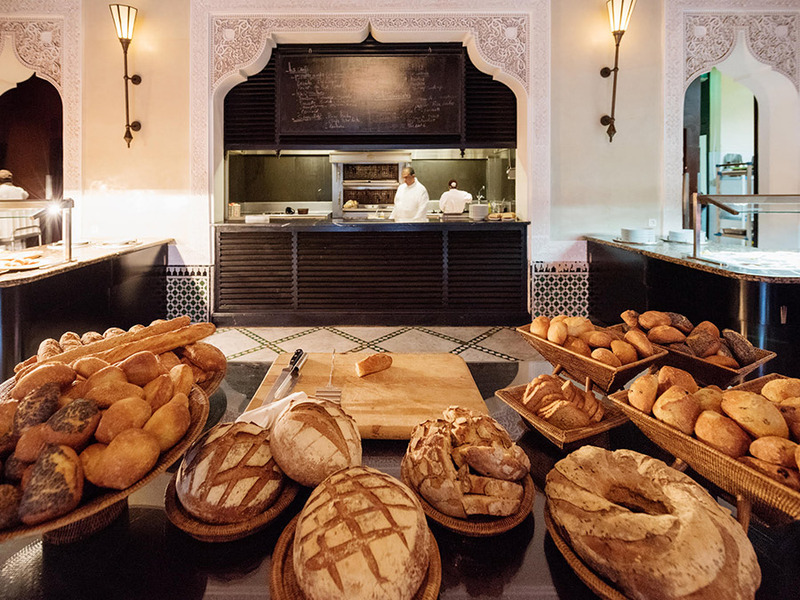 My daughter Kate, who doubles as my intrepid travel companion, has pointed out on numerous occasions that a fine breakfast spread — and it doesn't have to be fancy, just delicious, beautiful, and even quirky — is often worth planning an entire trip around. With that in mind, here are a few of our most memorable morning meals. The rooftop breakfast. Photo courtesy of La Scelta di Goethe. What's to love: The small all-suite hotel — which is really more like a sumptuous private apartment — offers the most spectacular spread of cheeses, salami, muesli, fruit tarts, and freshly baked breads on its expansive private terrace. 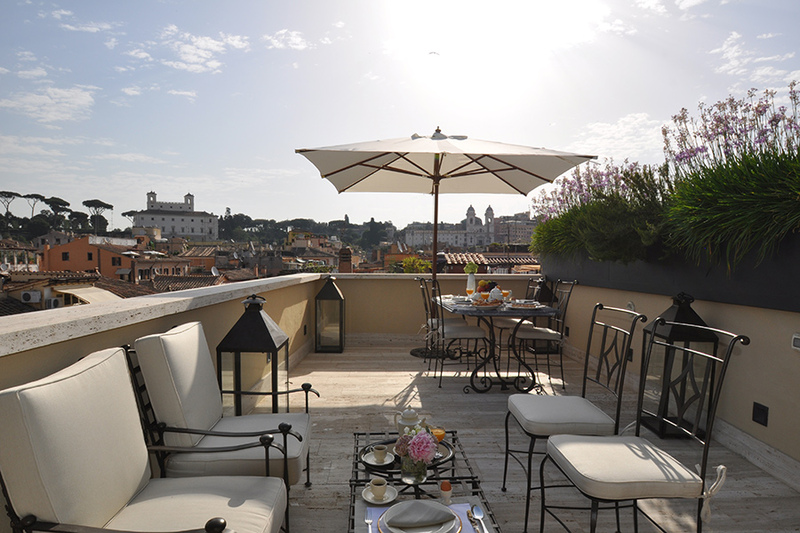 No one but you, with your deliciously strong pot of coffee, will be overlooking Villa Borghese, endless cupolas, and Vatican City in the distance. The peel of church bells and seagulls standing sentry adds to the lovely, very local vibe. The carb-lovers breakfast. Photo courtesy of La Mamounia. What's to love: Start with the service. You'll never find kinder people offering fresh juices, strong coffee, and Moroccan mint tea infusions, all in a poolside pavilion setting with lush garden views. The breakfast spread is magnificent and very authentic. Local specialties including khobz (flatbread) with olive oil and jam, sweet rolls studded with anise and sesame seeds, a version of pancakes, as well as meats, cheeses, and all kinds of eggs cooked to order. The Japanese-style vegetarian breakfast. Photo by Berit Baugher. 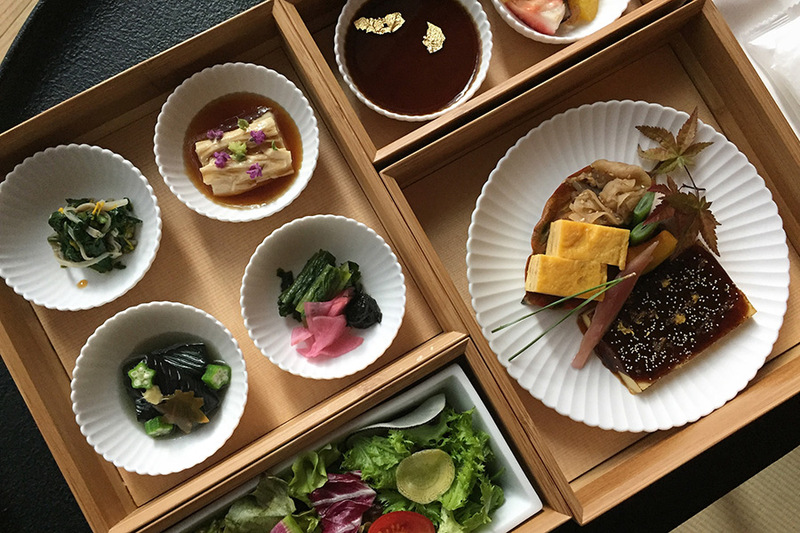 What's to love: Quite possibly one of the best room service breakfasts in existence can be experienced at this new ryokan-style hotel. 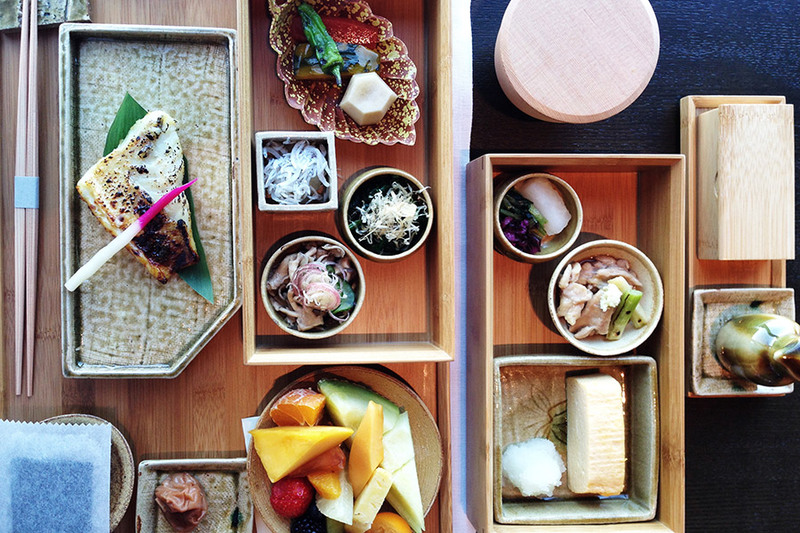 A beautiful wooden box is brough to your suite by a kimono-clad attendant who carefully explains each small plate. Even though it will be hard to follow most of what she says, and even though you might never know what you're really eating, you'll be delighted by each and every bite. The vegan petit dejeuner. 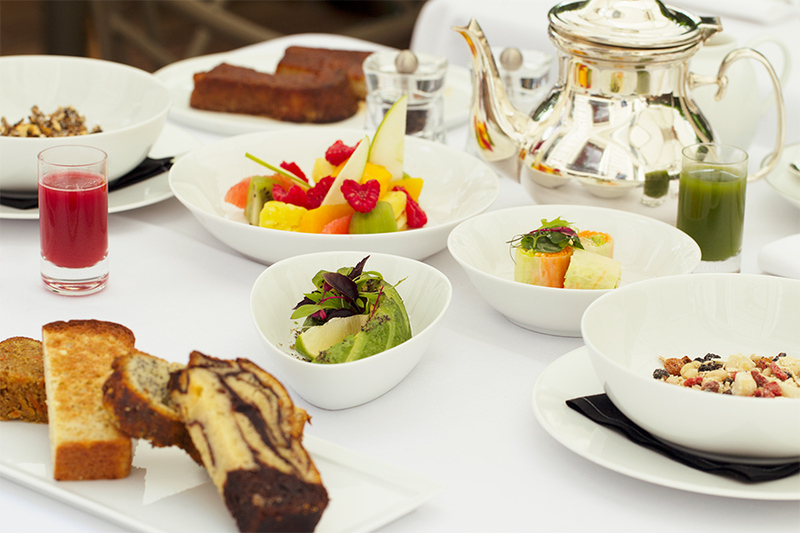 Photo courtesy of La Réserve. 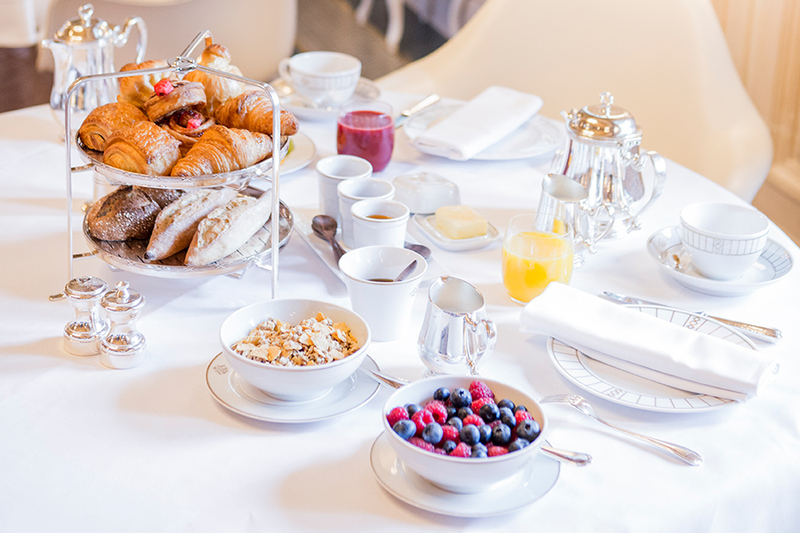 What's to love: The signature vitality breakfast is a gluten-free, vegan take on a classic Paris petit dejeuner, with detox juice, lemon-ginger herbal tea, pastries, buckwheat and berry muesli with almond milk, avocado with hempseed gomasio, raw everything, and even a take on French toast with coconut butter. Fashion editors, designers, and the haute couture crowd flock to this Jacques Garcia-designed gem during Fashion Week. Be sure to book ahead. The savory spread. Photo courtesy of The Ritz-Carlton Kapalua. What's to love: Fuel-up for a day of biking down the side of a volcano with a buffet extravaganza that includes all kinds of island specialties: POG (papaya, orange, and guava) juice, Portuguese sweet bread, and a seed bar — chia, flax, poppy, sesame — more comprehensive than the Whole Foods bulk bin isle. Fresh tofu, steamed rice, and a full salad bar add savory, healthy touches. The healthy option. 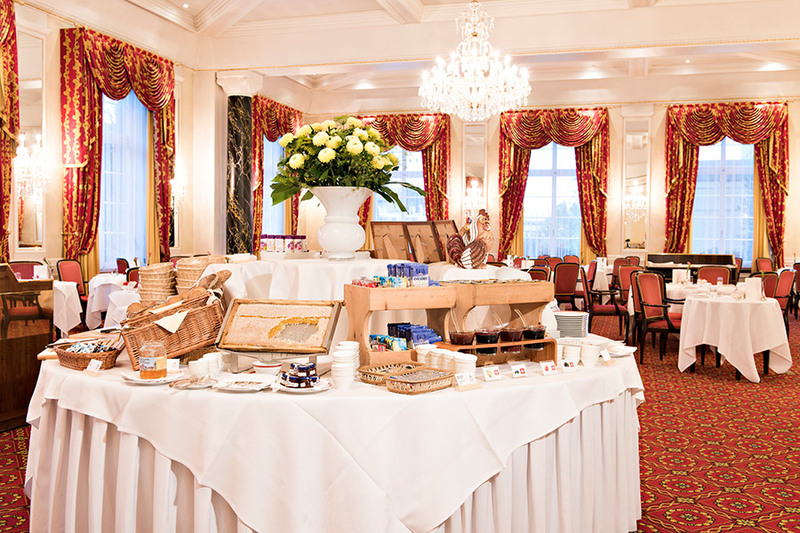 Photo courtesy of Claridge's. What's to love: Everything. The Art Deco setting, pots of proper Sri Lankan teas (theirs is bespoke), and all kinds of delicious dishes like vegan scrambled tofu on rye bread with tempeh, pork gyoza, and prawn dumplings from the Chinese menu, and flaky, gluten-free croissants. The chocolate coconut whey protein smoothies can't possibly be healthy, but sides of chicken sausage, grilled tomatoes, and wilted spinach most definitely are. Everything's to love about the old-school full English breakfast, complete with an omelette of fine herbs, granary toast, and fresh pink grapefruit juice. Plus, the people-watching is unparalleled. The fashionista's choice. Photo courtesy of Four Seasons Hotel Milano. What's to love: The hotel has a completely different feel and clientele than most Four Seasons. 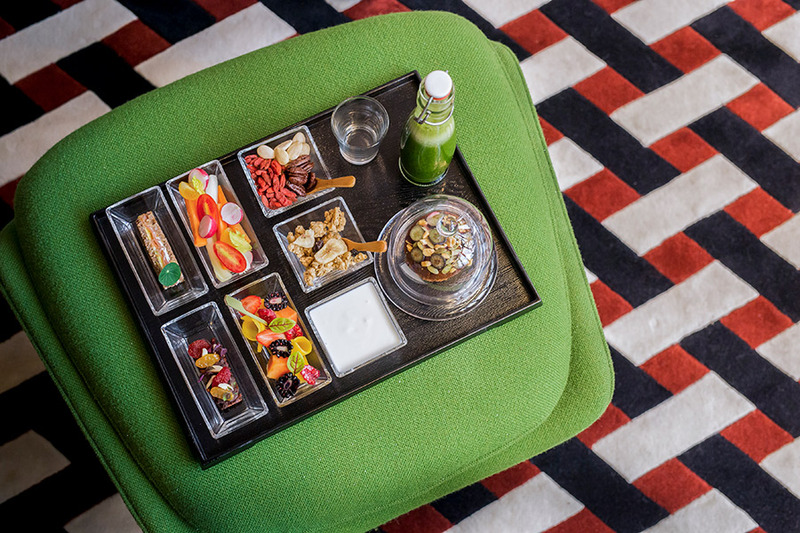 Many fashion editors and other generally fabulous Fashion Week attendees have created demand for the Taste & Shine breakfast, comprised of freshly pressed juices and gluten-free everything, served while getting a quick-dry, or express-dry, manicure. Hungrier types will want to head to the dining room, where, on weekends, there is a special room dedicated to chocolate creations. The best of Sicilian summer. Photo by Jeralyn Gerba. 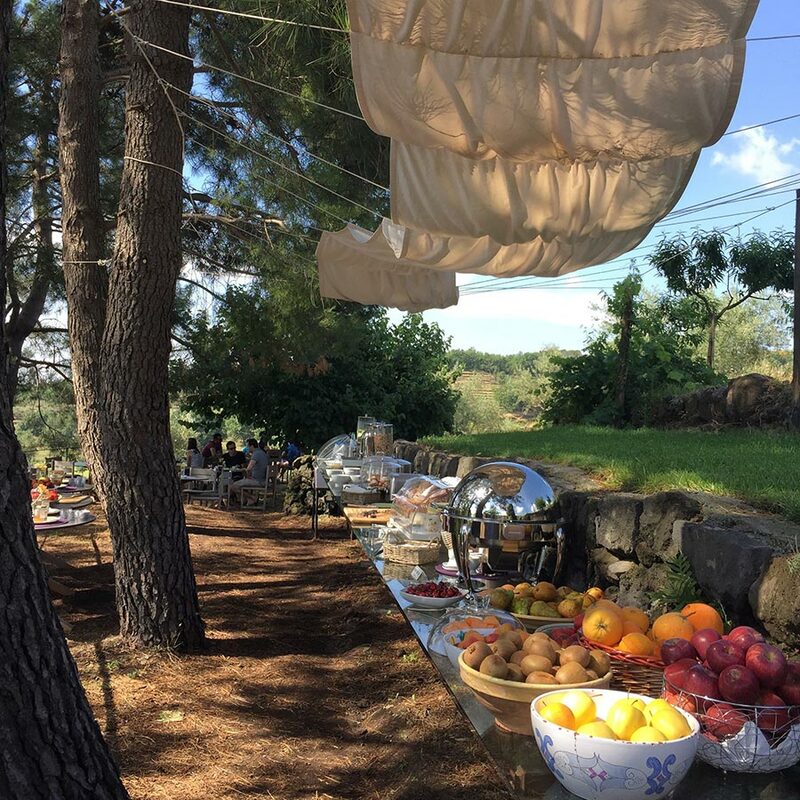 What's to love: Breakfast is served under a canvas canopy on a terraced hillside of pine and olive trees. The bounty is the best of Sicily in the summer: bowls of stone fruit, glass jars of sheeps' milk yogurt and local honey, blood orange juice, farm eggs, and fresh-baked loaves of Sicilian wheat — all of which have benefitted from Mount Etna's nutrient-rich soil. In the summer, a long and lazy taste-testing session (washed down with cappuccino) is unadulterated joy. The Grand Restaurant. Photo courtesy of The Kulm Hotel. What's to love: Breakfast in the baroque Grand Restaurant will leave you well-stoked for skiing, hiking, and high-end alpine shopping. Local specialties on the buffet include birchermüsli, bündnerfleisch (air-dried Grisons meat, an Engadine Valley speciality), real (thick!) hot chocolate, and the creamiest Tilsiter Swiss cheese. Other pluses include a comprehensive selection of regional butters, jams, and honeys, and perfectly formed, piping hot omelettes. Il Palagio. Photo courtesy of Four Seasons Hotel Firenze. What's to love: There is nothing typical about this Four Seasons. 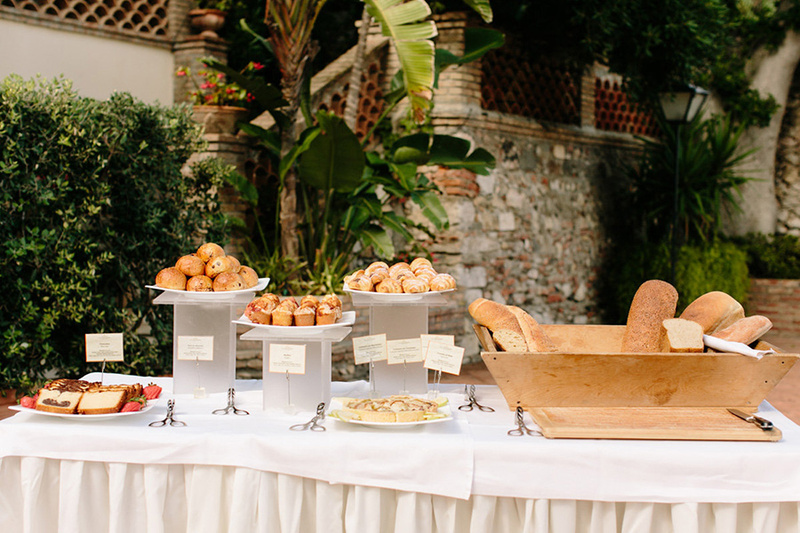 Set in a 16th-century frescoed palazzo, the Sunday brunch is, well, beyond memorable (I'm still talking about this meal five years later). 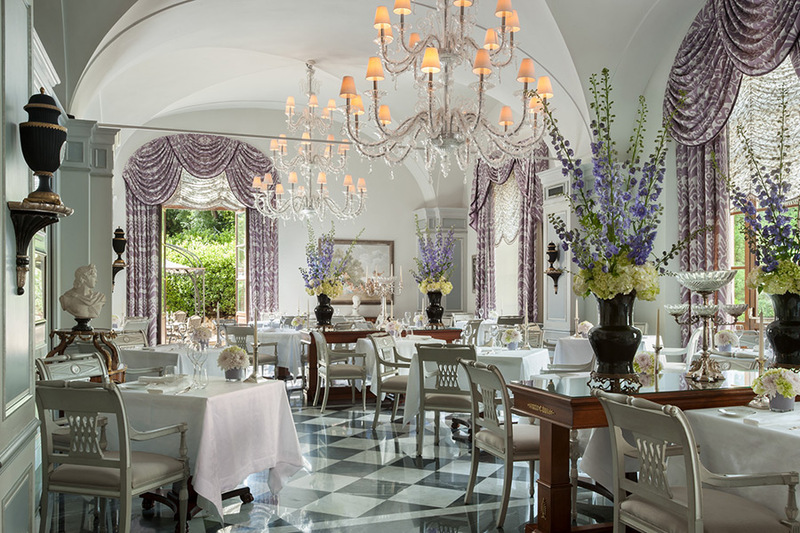 The formal restaurant, Il Palagio, is transformed into a multi-station brunch by noted chef Vito Mollica, who makes killer poached eggs with Florentine-style spinach. The atmosphere is very casual (local families linger, too) and the food is delicious and all locally sourced (berries are the size of golf balls). Make this your only meal of the day. The Alain Ducasse classic. Photo courtesy of Le Meurice. What's to love: The Michelin-starred Alain Ducasse restaurant, with its stylish Phillipe Starck update, is a magical place to kick off a day in the City of Light. 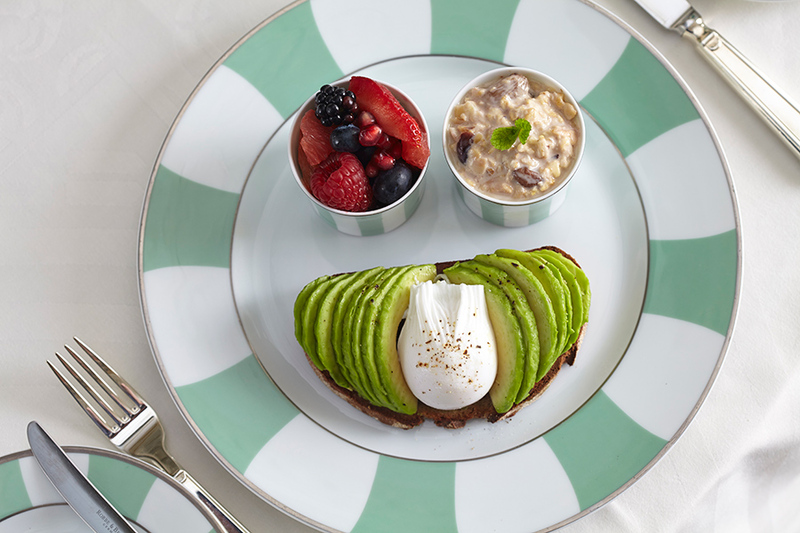 The American breakfast is full-on: eggs with a truffle, Kristal caviar or salmon supplement, Ducasse's own hot chocolate, pressed juices by Nubio, and thick, crispy waffles doused in whatever you like. This is old-school luxury. The outdoor spread. Photo courtesy of Belmond Villa Sant'Andrea. What's to love: The seaside terrace setting and the comprehensive spread are unmatched. Choose from freshly baked croissants and plum tarts, peach compote, housemade tangerine marmalade, acacia honey from nearby Etna, Parma prosciutto, and the most delicious smoked swordfish. Apricot, green apple, and blueberry juices, sipped overlooking the Bay of Mazzaro, are just sublime. 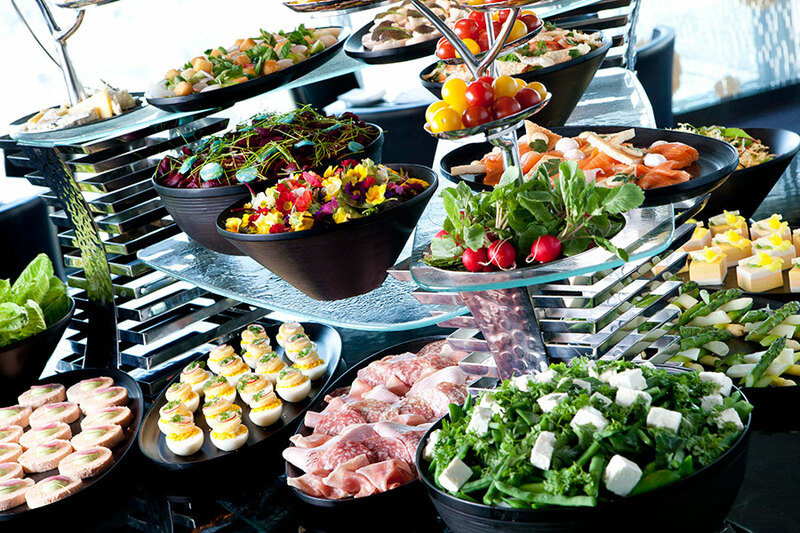 The brunch buffet. Photo courtesy of Peninsula Chicago. 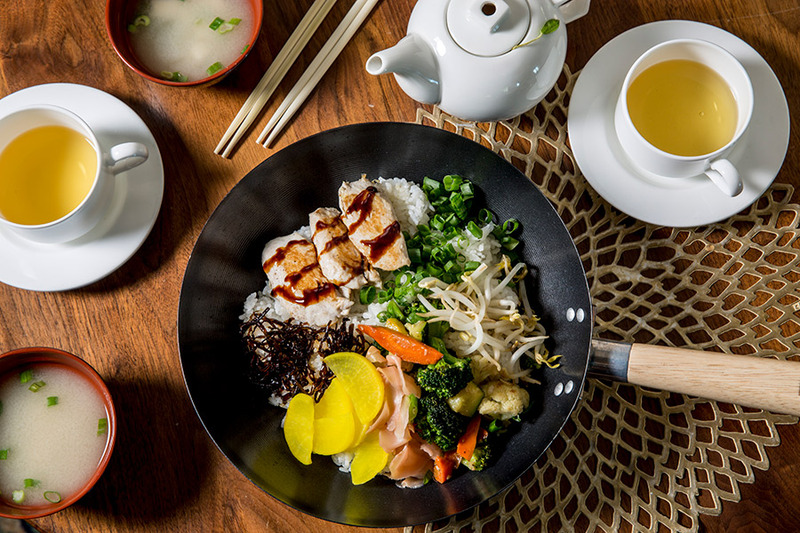 What's to love: As a general rule, Peninsula Hotels do breakfast really well, with plenty of Chinese offerings standard. Chicago offers lobster and scallop congee and steamed shrimp dumplings, but with a hefty dose of Midwestern, carb-laden goodness added in. Think fluffy pancakes, chocolate desserts, waffles with berry compote, and serious specialty meats like steak, various kinds of bacon, and pork and chicken sausages. The breakfast at Aman Tokyo. Photo by Jeralyn Gerba. What's to love: It's hard to describe the sheer delight of sitting down to a proper Japanese breakfast. Each little bento box compartment offers a surprising bite of something gastronomically remarkable — it's like getting permission to open all of the advent calendar doors at once. To be able to enjoy the elevated morning ritual at Aman, itself a jewel box of architectural surprises, while overlooking the Imperial Gardens and Mount Fuji? Arigato.